What Type Of Floor Lamp Do I Need? A floor lamp is the perfect addition to any room. Not only is it a great source of light, a well chosen floor lamp can also make a bold statement about ones personal style. The first type of floor lamps were a 17th century design named a torchiere, so called because it was basically a tall pole with a stabilizing base that held a candle, or a torch. Later, when two, then three candles were added, the torchiere became a vastly popular way to add light to large rooms. 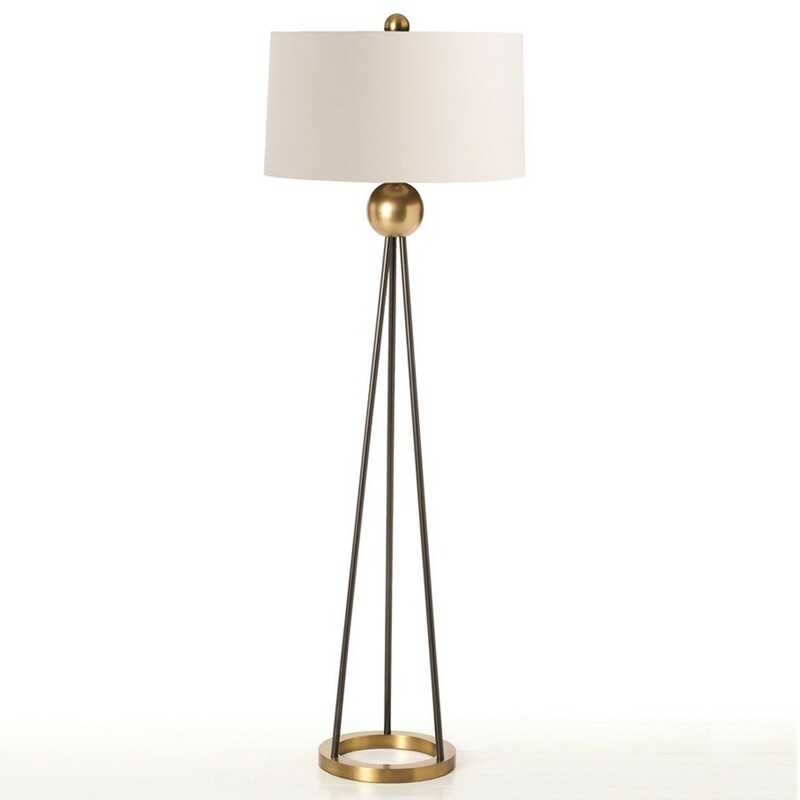 Fast forward a few centuries and we have the modern floor lamp in an increasingly large variety of styles to fit any décor. The torchiere of today is considerably different from it’s origins. Typically, they are a tall floor lamp, usually about 72” high, with a wide glass or metal bowl which reflects the light upwards, giving a room soft, warm ambience. A torchiere should always be placed in an area, such as the corner of a room, away from traffic flow and positioned to avoid being bumped. Because these lamps are so tall and have the large bowl, they are often top heavy. Torchiere lamps are made with all types of bulbs, such as incandescent, fluorescent, LED, and halogen. These range in size from around 52” to approximately 65”. Shades can be made from various materials, including fine fabrics, ornately crafted leaded glass such as Tiffany styled, polished metals, or just about anything imaginable that is heat resistant. The bases and poles of floor lamps are often expressions of a designers artistic abilities, making the floor lamps appealing to just about any taste. The choices are immense! One type of floor lamp that is quite popular is the pharmacy lamp. These are made in many different styles, but the principle is the same. The light source is on an adjustable head, with an adjustable arm that swings out, making it ideal as a task light. Whatever the lighting need, rest assured that a solution is just a click away.